The Aerospace Industries Association of Canada (AIAC) recently issued its 2017 Annual Report, Looking to the Future. 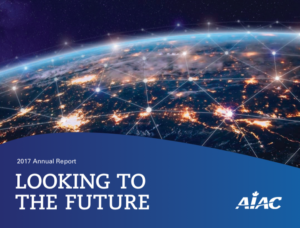 This report gives an overview of AIAC’s achievements last year and takes a look at the future of the aerospace industry in Canada. “We achieved important results for our members on many fronts,” writes Jim Quick, President & CEO of AIAC in the report. He went on to describe that their advocacy on behalf of their members “drove improvements and modernization in the public procurement system and helped create new solutions for small and medium-sized enterprises.” The association also provided business development opportunities for its members in 2017, both in the local and global marketplace. 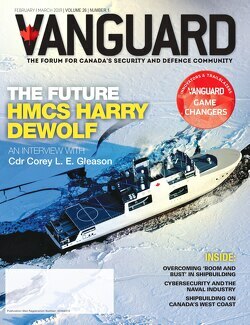 To mitigate these problems, Quick says it’s time for a new dialogue and a new vision for the future of aerospace in Canada. He went on to elaborate that this must be one that leverages our economic leadership, world-class workforce, and transformative technologies to create opportunity and change for all Canadians. The Chair of AIAC, Cynthia Garneau, President of Bell Helicopter Textron Canada, echoed Quick’s comments by saying that disruptive and transformative technologies such as urban air travel, on-demand mobility and artificial intelligence are revolutionizing the industry. This is “forcing us to think outside the box and consider how we might work with, and appeal to non-traditional aerospace partners, suppliers, customers and increase diversity amongst our workers,” she writes in the report. She pointed out that industry and government must continue working alongside each other “to ensure we don’t lose our competitive edge.” She went on to explain that governments around the world are increasing their investments in their aerospace and space sectors because they believe that’s the key to their future prosperity and advancement. “Canada just cannot afford to see its aerospace industry fall behind,” she writes. She believes that the role of AIAC is “vitally important” in being an “advocate” for the industry. To get the full report, go here.